This eclipse brings you not one message, but two: It’s not quite over. It’s also just beginning. Out of the ashes, a whole new reality is about to emerge. For the second time in two weeks, you’ve stepped into a void. On March 20, a total solar eclipse created the seed of a new beginning in the most magical degree in the zodiac – the final degree of Pisces, where old realities are dissolved and new ones created. Hours later, the great energetic hinge of the Vernal Equinox swung open and a new year began. Tomorrow brings our second total eclipse. It’s less than 12 hours away —1:06 pm UTC (8:06 am EDT) — and you’re already in its potent energy field. This time it will be the Earth who moves between the two great lights of your life – and of our planet. As Earth’s shadow causes the full moon to darken before your eyes, Luna appears to return very rapidly to the beginning of her cycle — the New Moon, which occurs each month when Luna is in her dark phase. Then, with equal swiftness, she shifts back to her Fullness. At the lunar levels of your own reality, far beneath the threshold of conscious awareness, this experience is reality-altering, in ways that are both dramatic and subtle. Depending on where the eclipse falls in your own birth chart, it could be life-changing. On both the outer and the inner levels, eclipses shift reality in ways that stretch – and sometimes defy — our ordinary awareness. Both solar and lunar eclipses also affect the Earth’s geomagnetic field — and your own energy field, which is nested within Gaia’s. Your brain and autonomic nervous system, your cardiovascular system, your energy levels — all are effected by eclipses. Your sleep may be disturbed. You may have headaches. That’s only part of what makes this an inner power day. Tomorrow’s lunar eclipse is the grand finale of the powerful 33-month wave of change you’ve been riding since June 2012. Two weeks have passed since the last of the seven world-changing squares of Uranus and Pluto, our solar system’s two titanic change agents. These two mighty cosmic change agents are still within a degree of their exact square, however – and tomorrow, the Sun and the Moon will trigger them for one final time. Because this final activation happens during a lunar eclipse, its effects will ripple down to the very depths of your own lunar awareness. Far beneath the threshold of consciousness, where your emotional reality is created, is the target zone of a lunar eclipse. Changes that happen in this eclipse field will penetrate to the very depths of your being. And you want them to. You want their life-renewing power to root itself as deeply in your life as it can get. You’ve been sensing this power all week. You may have experienced its manifestations rippling through your life, as a frightening diagnosis, a threat to your financial stability, a crack in your relationships. Cosmos to you: Are you settling for a version of yourself that’s less than you really are? An eclipse in the sign of the scales highlights the issue of balance. And with Uranus, the Cosmic Liberator, across the sky from the Moon, the balance in question right now is between 1) your need to manifest your unique and once-in-the-life-of-the-Universe gift, and 2) your need to experience your interdependence with others. It’s the great continuum in which we live our lives. We must be able to stand alone in the light of our own integrity. And we must be able to partner and collaborate with others in the great web of life. It’s very likely that the coming days will bring some revelations about ways you may have compromised your independence and your integrity. You may gain insight into patterns that are more about fear than about love. There may be some enmeshed and codependent energies that are ready to be released from your life. They may have been fine last month, or even yesterday. They helped you get here, to the point where you’ve outgrown them. Whatever this eclipse brings to the shore of your life is part of an energy surge that will take you to a new beginning. All eclipses are dynamic. They clear things out of your life – or they open them up. Usually, they do both. Their energies are revelatory, showing you what’s been developing under the surface, beneath the threshold of awareness. Once you see it, you’re in a new reality. No matter how it seems at this moment, this eclipse is opening a portal to new levels of abundance, fulfillment, and authenticity. What may have seemed impossible – what still may seem impossible – could be within closer reach than you suspect. For a reality check on that, look at the negotiated agreement between two long-sworn enemies – the United States and Iran — reached on the threshold of the eclipse. It takes great courage to hold space for a positive outcome as fear rises up in a thousand forms around you. That’s exactly what the week ahead is asking you to do. That’s because Jupiter, the Cosmic Blessing Giver, is just days away from the end of his four-month vision quest. In this eclipse field, he’s exchanging the powerful positive energy of a trine with the Sun, Mercury, and Uranus. Those are the frequencies of breakthrough on multiple leves. And he’s creating new opportunity with the Moon, bringing emotional healing and the ability to embrace the future without fear. 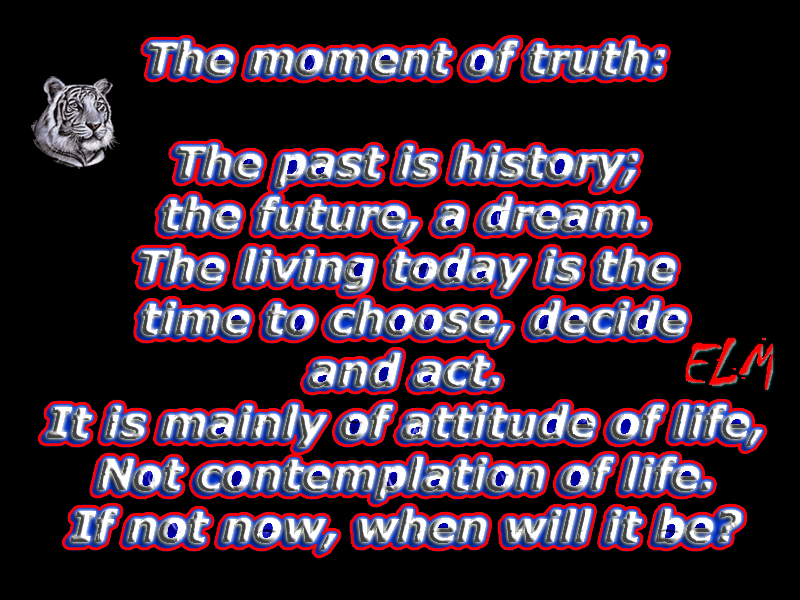 It’s time now to create new ways of living your life. Ways that are rooted in authenticity, helpfulness, and mindfulness – without sacrificing yourself or your unique individuality. You can expect power plays and power struggles to arise – within you and around you – as the Cosmic Transformer challenges the life-giving radiance at the heart of our solar system to evolve into an even more powerful expression of renewal and regeneration. That’s the very same struggle that will be taking place within you, wherever the signs of Aries and Capricorn are located in your birth chart. Accept the challenge. Act from love, not from fear. Let go of what’s getting in the way. Sudden reversals and a sense of being blindsided can take place when Uranus fuses his quantum electricity with the star power of the Sun. Stay grounded and hold space for a heart-level breakthrough. You should feel the tides turning as the Cosmic Blessing Giver brings his four-month retrograde vision quest to an end and throws his massive energy of grace, abundance, and good luck into your own star power – and your ability to express it more completely than ever before. As Mercury conjuncts Uranus, you’re likely to have flashes of inspiration and brilliance. Keep a notebook handy – and use it! Uranus moves at quantum speed. He’s not going to hang around for you to remember what he gave you. That’s your job. It’s time to re-assess your reality after all that’s happened since March 20. It’s time to begin letting go of old structures that you now realize just aren’t big enough for who you’re becoming. The Moon’s sextile to Chiron promises that what you let go of now can be far more healing than you suspect – and open up new dimensions of your unique cosmic gift. An Aries New Moon is coming on April 18 and will seed the new beginnings in a very real and tangible way. Life’s moving forward – and it needs you to come with it. Maximize your good luck and tune into Jupiter. Embody generosity. Think of ways to be generous – emotionally, conversationally, with your time, your energy, and your money. Make it your practice in these days when the Blessing Giver’s power is at its greatest. Instead of holding back, give. Don’t waste your time — or your energy — trying to maintain a status quo that isn’t working. Instead of focusing on what may be collapsing around you, keep your attention on what’s ready and eager to be born. If you don’t know, make it your priority to find out. Stay energetically balanced. For the next 10 days, five planets –that’s half the planetary energy in our solar system – are in fire signs. To avoid getting burned out – or just burned – in the blaze, make sure you are eating well and sleeping enough. Put your bare feet on the earth every day if you can. Feed every one of your senses as exquisitely as you can. Also, drink lots of water to keep the fire from drying you out. Take some long baths. Journal your feelings and let them flow. Finally, help yourself step back and see the big picture. Do some cloud-watching. Listen to music. Breathe deeply, several times, when you feel stressed or overwhelmed. Sharing.:::. ▶ How to Create Title Screens for Video in Photoshop – Arcturian Energetic Weather Report #2 and Check out our upcoming classes. Arcturian Energetic Weather Report #2 and Check out our upcoming classes. I am ready to receive your message. Yes, Suzille, thank you. In fact we wish to thank YOU and all your many readers who have followed us through out the many years since the early 1990’s. We know that all of you have had to wait, and wait, and wait, for us, the Galactics, to come directly into your reality. We understand how many of you have become frustrated and confused that we have not, yet, landed. These impostures have been selfishly controlling your world at great expense to the physical body of Gaia, as well as to the physical body of anyone who would rise against them. Then, many of humans who was fully brainwashed by the dark ones, and refuse to believe that there are civilizations beyond Earth. Many of these humans are so very overwhelmed by daily survival, that the thought of re-structuring their entire world is terrifying. The dark one created businesses, jobs and global events that kept these people on “survival mode,” so that anything outside of working hard, and having+ some fun, was the only life they could imagine. There are also many brave ones who were killed by the dark ones for daring to tell the truth to the people of Earth. Of course, the brainwashing programs, as well as the poor educational systems that were deliberately started by the dark ones, have kept man humans within the “survival mode” of just barely making it through each day. You see, our dear friends and family on Earth, you have been fighting a hidden war for your right to know the truth of the real conditions on Earth. We are very please to inform you that this later group of awake and aware ones wearing an earth vessel is greatly expanding. We say, “wearing an earth vessel,” because YOU, the members of this group, have become, and are increasingly becoming, aware of your higher dimensional expressions of SELF that are also serving on our Starships and in the higher dimensions. Because of this increasing awareness, you realize that your earth vessel is merely the lowest dimensional expression of your multidimensions SELF. Therefore, you are “wearing” your body rather than “being” your body. 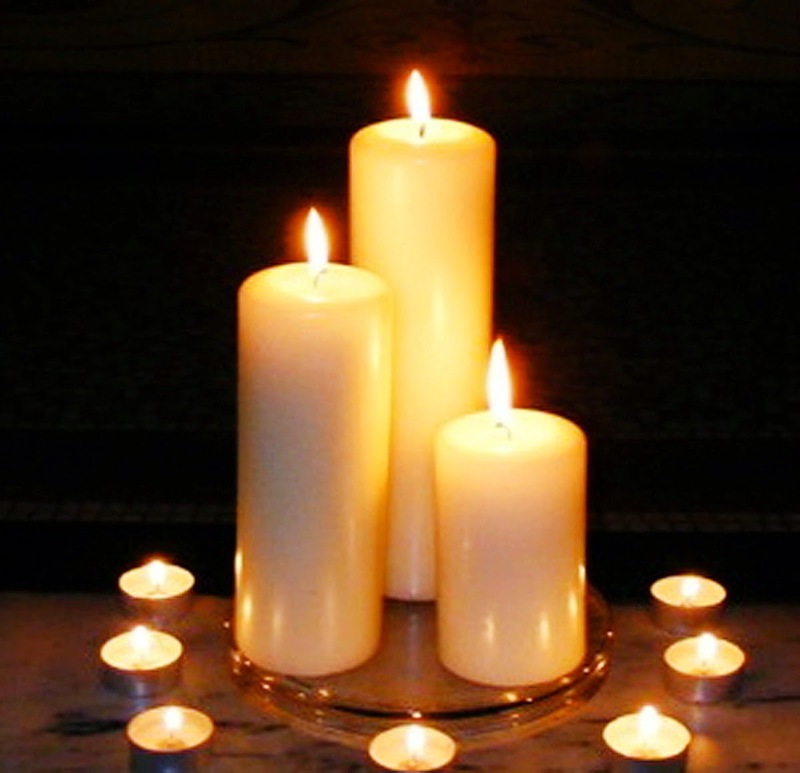 You, our beloved emissaries of light, have remembered that you have uncountable expressions of your own lifestream in many octaves of reality. Therefore, “you” cannot die. However, you may choose to temporarily or permanently “check out” of your lowest, densest, expression of being—you human earth vessel. Sadly, there are also many of you serving the cause of TRUTH who have had to unwillingly release their earth vessels because they were discovered by the dark ones. These brave warriors have not “died.” They have merely surrendered their earth vessels and return Home for some much needed R and R.
We remind you all of this fact today because we want you to know that you are NEVER alone. We, your galactic family, are ALWAYS with you, even if you not consciously aware of that fact. We also remind you that we are focusing our attention on escalating the educational process of our ground crew, as inner knowledge is inner power. Fortunately, that lowest frequency of Gaia’s “inhabitant matrix” is dissolving. We use the word dissolving, which means: disappearing, breaking up, formally closing, ending of legal relationships and/or simultaneously fading out and in. We instructed Suzille to look those “dissolving” up in your dictionary so we could define the process in human terms. Your initial “return to SELF” is with you consciousness. Therefore, the frequency of your consciousness simultaneously fades OUT of 3D limitation and IN to 5D freedom. As you are aware, when you are meditating, being creative, enjoying your friends and family and loving life, your fade IN to your remembrance of your higher dimensional expressions of self. Life on the physical plane is so very challenging that “one thing at a time” is often overwhelming. The key is the word “time.” When you think third dimensionally, you are bound to the concept of TIME. On the other hand, as you consciousness expands into the fifth dimension, which we perceive that more and more of you are experiencing, you are able to be aware of simultaneous actions occurring within the same NOW. You are able to take this leap of thinking because you are increasingly thinking from your fifth dimensional consciousness. When you consciously think from your fifth dimensional state of consciousness, your entire perception of reality alters. First, and foremost, you KNOW that you are actually communicating with your higher-dimensional galactic and celestial family. 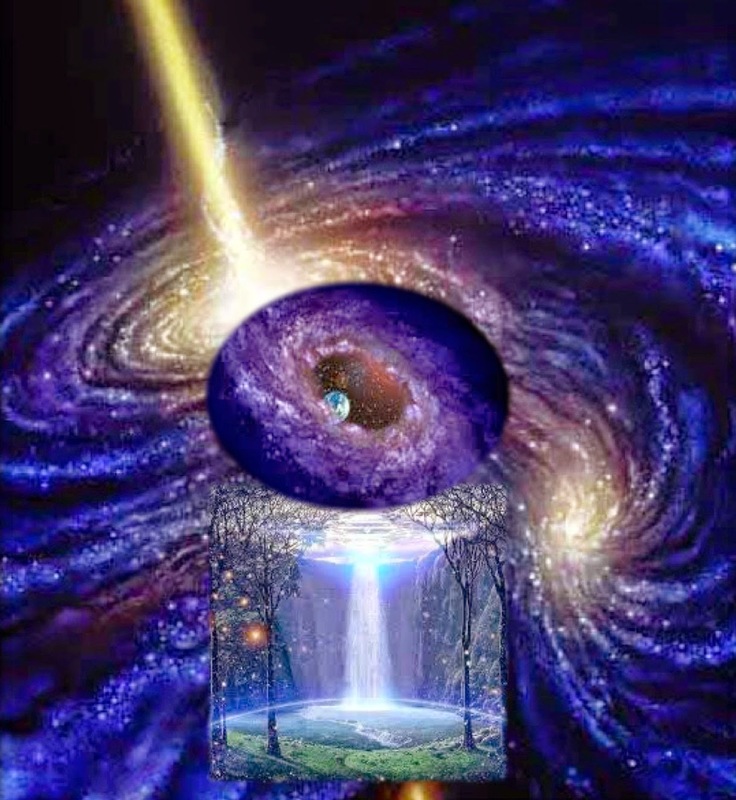 Once you are conscious of this constant connection with your higher dimensional family, you will become aware of your true “Lightbody SELF” that exists within the core of your earth vessel. Simultaneously, you will be fully aware of your galactic and celestial family with who you are in constant contact. Even though your third dimensional consciousness may not be aware of your fear, your earth vessel is aware of it and makes adjustments on to “protect your self.” Therefore, your 3D consciousness focuses on the cause, or the feeling, of the fear while your 5D consciousnesssimultaneously focuses on your higher perception of the message that has frightened your 3D consciousness. Within the situation you have a conscious, or unconscious, decision to choose which frequency of perception you wish to perceive. Both versions of reality simultaneously exist in the same NOW. Furthermore, when you are consciously aware of your own multidimensional perception, you have many choices that are NOT available to your 3D consciousness. Stop whatever you are doing or thinking and focus on the fear. Check out the fear to see if it will cause you or your loved ones harm. Engage in the fear to investigate its source so that you can directly interact with and/or combat it. Your human earth vessel demands this investigation because, from that third dimensional perspective, you are alone, vulnerable and constantly striving to survive in a difficult environment. Do you see why the dark ones constantly fill your news with fearful events, violence, wars and mass murders? As long as your earth vessel is in a “state of alert,” you are easily brainwashed that this particular product, person and/or situation will save you from the great danger that they just created to keep you in the constant state of alert which lowers your state of consciousness. Do you see that vicious cycle? Also, form your higher frequencies consciousness you can also perceive the lower frequency realities. Thus, from your higher frequency consciousness you can perceive all the realities of that frequency, as well as the lower frequencies of that realty. In because of this fact, that we can easily perceive your reality, but it is still difficult for you to consciously perceive our higher dimensional reality. Furthermore, when you shift out of “third gear” of your earth vessel that is “driving around town doing your 3D errands” INTO the “fifth gear” of your Lightbody who is zooming beyond limitation, ALL your perceptions shift into higher gear. 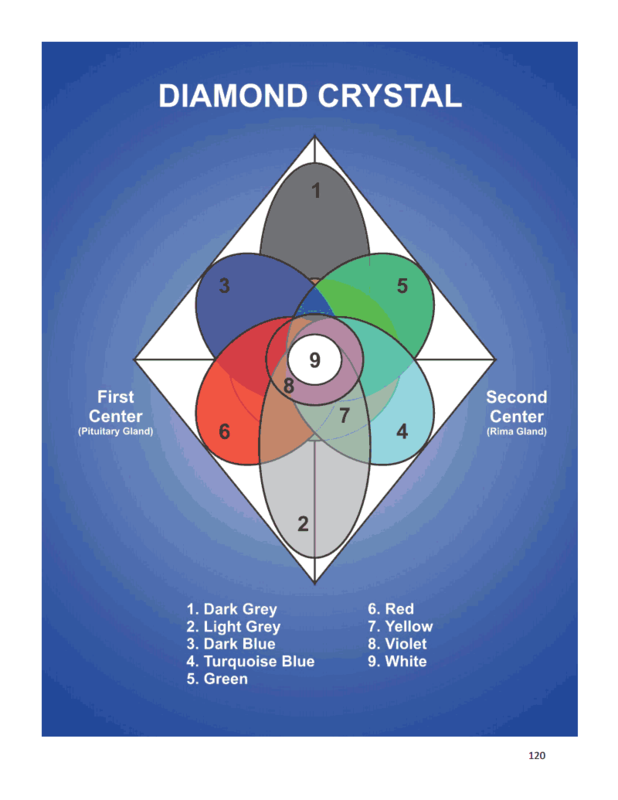 But remember that ALL of you are simultaneously in the third dimension AND the fourth AND the fifth dimension. You are ALL multidimensional beings who are simultaneously experiencing reality from myriad dimensions within the same NOW. The problem is that the while you are wearing a third dimension form, your perceptions are innately calibrated to third dimensional perceptions. · YOU are a multidimensional being. · YOU chose to enter your experience by attaching your attention on your current earth vessel. · YOU then accompanied the “thoughts” of our attention with the “emotion” of unconditional love to enter your current reality. · YOU then merged with that frequency of reality by entering the earth vessel that YOU chose. This vision of reality is the core of the Mission that YOU chose before you entered your earth vessel. However, some of you underestimated the power of illusion on Gaia within your NOW and became lost in that illusion. Fortunately, you awoke from your illusion and are NOW ready to fulfill the Mission that YOU chose before taking your present earth vessel. We are so sorry that many of our brave volunteers had to prematurely log-out of their earth vessel and return Home. We are aware that to the 3D perceptions of those who cared for them, they died. We tell you ALL now that death is an illusion of the third dimension. What is perceived as death on the third dimension is simultaneously perceived as a welcomed return Home to the higher dimensions. Also, once you return Home, you are NOT judged as being “good” or “bad.” We understand how very difficult it is for all of our inter-dimensional travelers to ascending Gaia. Your Multidimensional SELF already inhabits many ascended, higher dimensional bodies. We know that you, our volunteers to Earth must attend to your 3D life, as well as your Mission to assist Gaia. We want you to know that we “have your back.” Simultaneous to your current earth life, you are living myriad expressions of your Multidimensional Life. If you were to “lose your earth vessel,” it may interrupt your mission to Earth, but simultaneously you would be returning HOME to your true Multidimensional SELF. We tell you this information ONLY because humanities great fear is death. The beings of the darkness, the lost ones, control you with that fear. They constantly talk about horrible diseases, which they are simultaneously creating. They try to frighten you with yet another war, which they are simultaneously creating, and they broadcast news of yet another “crazy person or group,” which they have simultaneously created. We tell you this information NOW because those of the darkness are loosing. 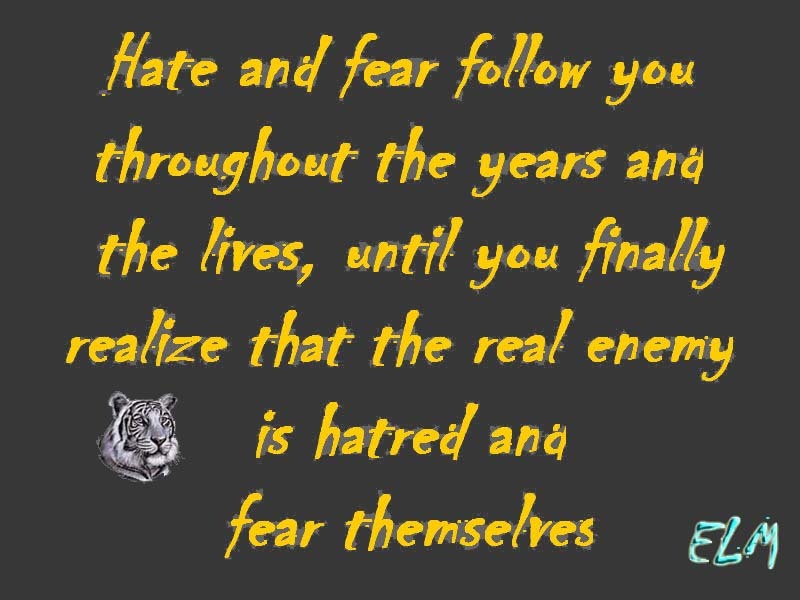 You have refused to participate in their lies and threats, and the only weapon they have left is your own FEAR. When you remember to “be the Master over your own fear,” your consciousness expands so that you can perceive the fifth-dimensional Earth, which is NOW awaiting new inhabitants. If Mercury rules our mind then we will use it to think and to communicate our thoughts. When Mercury is in its domicile of Gemini, we will endeavour to do this with a cool, breezy versatility, and though our mind would flit and flutter over many a varied topic with an agile swing of ease and adaptability, the objective would always be to stick to the honest, rational facts. Though perhaps not always so consistently, the nimble process of bridging thoughts together takes on an a mental acrobatic quality when Mercury is in its home sign, and there is a natural expectation for an intellectual easiness to grasp maths and languages, as well as to exercise that shrewd business acumen. In fact, any form of data processing of info is set to be considerably impressive during this entire period. An excellent time then, one would think, to clear and tidy things up, and to get busy with the process of putting all worldly things into some logical order. square to Neptune in Pisces to keep that mind upon a linear track. The tendency with Neptune, ruler of alternative dimensions, is to inflate our thoughts into the cosmic levels. Easily prone to influences from others, erratic moods and spacy concepts leave the mind wide open to such a heightened idealism, that in the wake of the recent encounter to that sombre Saturn energy, we need to guard our thoughts from taking form into a darker, more pessimistic turn and even veer away from any morbid notion that everything which we once accepted to be the facts is now quite likely to confound us with a sense of feeling disillusioned, cheated or deceived. It’s not at all unlikely that one might feel like they are either entering a surreal landscape or awakening from a very strange dream into a consciousness filled with and disarray. Last time we had such a sustained Mercury square Neptune period was in April-June 2009, when Neptune was still in Aquarius (Mercury was in Taurus). Of course, back then we would see the smartphone, with all its obligatory ‘useful’ appsflood the consumer market, as well as a growing saturation of users on social media networks like facebook, really start to permanently alter our (up till then) standard reality of physical communication means. Neptune’s square effect upon Mercury therefore leaves the mind open to alternative forms and sources of communication, affected largely by opening up our sensitivity to social moods and susceptibility to random, trending new influences, and in the wake of this transit we may very well be left with either the awful hangover of a spiritual confusion, like we have sunken into a league completely out of our depth, filled with confusion, lies and surreptitious conspiracies, or come to realise we are finally in our element of feeling connected to a higher-dimensional plane, one filled with joys of wonderment, inspiration and a delightful sense of ‘love and light’, yet not quite able to make much sense to the ordinary folks that seem to slowly become more and more distant all around us. Whilst this planet stays within 5° orb of this aspect to Neptune for the entire months of May and June, it is also hovering around in its retrograde zone, thus playing immense havoc with our continuum of ordinary perception and our attempts to follow some constancy of facts due to disturbances which mostly have their origins in the strange and wonderful worlds of our subconscious. As if a creeping sensation of self-deceptiveness surrounds us, a mental fog descends upon our mundane every day activities and we become rather to suspect that what we think sounds like the truth is not the truth all. By the time we come to finally work it out (and we suspect it may be several weeks after Mercury flees its Rx zone (June 27) and clears away from Neptune (start of July), we will be certainly be introduced to one thing – the notion that we are either blessed or haunted by an interference of messages from parallel dimensions, and this either fills our otherwise tediously repetitive lives with wonderfully dreamy influences, designed especially to either undermine our trust and expectation to specific three-dimensional (practically routine) outcomes, or rather to wash over our minds with a wonderfully inspiring awakening that we are privy to a much higher, indeed more spiritual mental awareness that is fast fading in its preoccupied interest to some of the mundane horseshit that is being flung in our direction by the myriad of sources in our all-pervasive and ubiquitous daily media streams. This period, as confusing as it may seem to many, will really see humankind’s induction into a completely heightened level of mental communication, our big inauguration into a global telepathic empathy yet unprecedented in human evolutionary terms. … …a partir de la tercera etapa, en el año 2800 con la venida del avatar Abigahel, comenzaremos nuevamente a libertarlos y a extraer de la faz de Tera toda energía – negativa – enferma, la cual será mandada a Marte sin ninguna posibilidad de regreso. 26. La fuerza Reptiliana logrará su cometido en la segunda etapa, por esta razón el número 666 está anunciado como un número del mal. Esta fuerza – negativa – enferma, subyugará al hombre totalmente a través de ondas magnéticas, será entre los años: 2,300 hasta el año 2800. La segunda etapa del Alineamiento Cósmico será de terror, sufrimiento, desamor, desequilibrio, manipulación y total falta de libertad. Después de ésta segunda etapa, los gobiernos – Reptilianos manipuladores y dominantes, prohibirán el uso de estas máquinas, debido a los estragos negativos – energéticos – mentales que ocasionará en los seres, y las terribles consecuencias climáticas que producirá en el planeta. Después de haber usado las ―Máquinas del dominio‖ en el hombre y después de comprobar y sentir las terribles secuelas que éstas producirán, la misma fuerza Reptiliana prohibirá su uso ya que el hombre dominado en esa scondiciones, se encontrará mentalmente mermado a un tercio de su capacidad, se convertirá en un hombre medianamente inteligente, sin estímulos ni fuerzas para continuar. En ese futuro los países se unirán para dominar totalmente al hombre. Los pasaportes, documentos de identidad, actas de nacimiento etc. desaparecerán, porque ustedes estarán marcados con un chip desde el momento que nazcan, este será colocado debajo de la piel en uno de los brazos. Marcado de esta manera y de por vida, el hombre estará totalmente sometido, sin libertad, sin vida privada, todo lo que haga como: viajes, trabajo, casamiento, compras, vivienda, número de hijos y absolutamente todo lo que representa la vida en una sociedad, estará totalmente registrada a través del chip. Este chip será implantado obligatoriamente. Cualquier tentativa de extraerlo, será motivo de condenación y muerte. Estos inventos ya existen, se encuentran patentados y encima de la mesa de las grandes corporaciones que dominan al planeta. Y les decimos hermanos, los presidentes de los gobiernos de los países del primer mundo, tienen este conocimiento, todos lo saben y todos lo aprueban, porque estos gobiernos son los dueños absolutos del planeta. Los otros lo único que les resta es acatar sin protestar, debido a infinidad de intereses creados entre ellos. 16- ¿La máquina del tiempo y la holografía serán descubiertos en el futuro? La máquina del tiempo es el sueño de todos los científicos, al igual que laholografía. Hoy en día la ciencia se encuentra en los preámbulos del descubrimiento de estas dos técnicas. Podemos decir que la holografía la van a conseguir más rápido, dicho sea de paso, el 3D es el comienzo de esta invención. 27. técnico del mundo virtual, el hombre girará y vivirá de acuerdo a esta técnica que será su día a día. El mundo virtual holográfico será tan vívido, que los seres no sabrán si lo que ven, tocan y viven, es real o no. Esta será una de las formas más fuertes, que la fuerza – negativa – enferma mantendrá la dominación y la manipulación de los seres en la segunda etapa del Alineamiento Cósmico. La fantasía e irrealidad en que el hombre estará inmerso, lo conducirá a un estado anómalo de inconsciencia y frenesí, desprotegiéndolo totalmente en la conducción de su existencia y en la verdad de su realidad. Los viajes del tiempo ustedes lo lograrán parcialmente en el futuro, esto se debe a que el hombre querrá realizarlo con el cuerpo material y eso es imposible hacerlo, solo lo podrá ejecutar limitadamente con su cuerpo astral. El hombre futuro tendrá el conocimiento, pero lo que le impedirá hacer un viaje en el tiempo es la terrible densidad en el electromagnetismo. Los viajes del tiempo se pueden realizar, siempre y cuando las energías – pensamientos y el electromagnetismo de la célula – Tera, se encuentren estables. Como el hombre no tiene la responsabilidad ni la noción de la Causa y Efecto, no puede realizar el viaje del tiempo. Primero, porque el ser que viaje astralmente, debe tener su campo electromagnético totalmente estable, cuerdo y en perfecta armonía, unido al electromagnetismo del planeta, el cual se debe de encontrar con las mismas cualidades. Segundo, al penetrar dentro de las energías – pensamientos del cerebro – planeta – Tera, el viajante del tiempo, va a entrar al registro akáshico, donde está grabado absolutamente todo lo que acontece en las energías – pensamientos de los seres y del planeta, él tendría no solo conocer o saber la historia y el conocimiento absoluto de esas energías – pensamientos, sino que tendría que moverse dentro de ellos a la velocidad y cambios en que ellos se mueven. El cerebro-planeta-Tera guarda en sus archivos hasta el más mínimo detalle de las energías-pensamientos de todos los tiempos, estos son guardados tal como acontecieron. Al entrar al registro Akáshico se obtendrá el conocimiento del pasado y un resultado del futuro, basado en la causa y el efecto. Queremos decir que el registro dará el resultado inmediato de la lectura que está realizando. El pasado ya está registrado, pero el problema para ustedes sería los cambios del presente, los cuales les estarían dando millones de resultados sobre el futuro. El presente está transformando el pasado y el futuro a una velocidad increíble en millones de milésimos de segundos. A esta altura del programa, ustedes tienen que plasmar la Teoría de la Relatividad, donde el movimiento no puede ser medido por el tiempo. La adivinación en estas condiciones va a cambiar, porque el lapso que el vidente vio en las energías-pensamientos de la persona que adivinó, tiene un tiempo determinado, ya que la persona cambiará esas energías-pensamientos infinidad de veces. Muchas veces la adivinación da un resultado positivo, se debe a que la persona mantuvo algunas energías-pensamientos estables y eso permitió que el pasado, presente y futuro se mantuviese invariable. Ustedes viven en el Factor X – La Probabilidad. Significa que sus energías-pensamientos no son estables, ustedes son: inconsecuentes, inestables, inseguros, etc. El electromagnetismo del planeta se alimenta de las energías-pensamientos de los seres del planeta y mientras ustedes no estabilicen sus pensamientos astralmente, el viaje del tiempo no podrá ser una realidad. Viajar en el tiempo, como ustedes lo llaman, es factible, pero siempre podrá ser realizado al pasado, o sea a hechos que ya han sucedido y que se mantienen estables en el registro Akáshico, nunca podrán hacerlo hacia el futuro, puesto que ese futuro ustedes no lo dominan, es impredecible, vacilante e incierto. No olviden que ustedes viven dentro del factor X y este nunca les podrá dar la respuesta cierta, siempre está saltando de un lado a otro y ese será el gran problema para los viajes del tiempo. 17- ¿Ustedes realizan viajes en el tiempo? Tienen que entender que las realidades del universo, o sea todos los seres vivientes y absolutamente todas expresiones de vida, se encuentran en una inimaginable e inmensa… Mente Universal. De aquí podemos partir para entender los viajes del tiempo. La Mente Universal contiene en sí misma un Registro Akáshico Cósmico, inconmensurable e infinito. Lo mismo que sucede en la mente de ustedes, sucede en la mente del universo, pero a una velocidad inimaginable. La realidad mental del Universo, es infinita, incomprensible para muchas formas de vida, es algo indescriptible. Si miramos esta Mente Universal globalmente, vamos a ver que millones de energías-pensamientos (almas y espíritus) se mueven simultáneamente y alternativamente, dándole la vida y la existencia eterna. Esta mente se divide en zonas y cada una posee, características muy definidas. Partes de estas zonas albergan energías-pensamientos (espíritus) que pertenecen al Registro Akáshico o sea a la memoria de esta gran mente. 29. procuran el agua de la vida y existencia, estos espíritus van y vienen, fluctuando de zona en zona en la eternidad de su amaestramiento. Aurora : we would like to welcome you back onboard for a couple of nights starting from Thursday 20th Feb. to Sunday 23d February nights. We have been in orbit in fact in orbit for a few days already, and many of you have made contact with us last weekend and during the week. In fact there is a picture of us that Laura took on her flight home last Saturday, and she will post if again for you to see. Her return flight will take place night time, so she will not be able to take pictures of us this time, but we will be very near again, of course. We asked Laura to take that picture of us, and she heard us, we even directed her camera towards space, and she listened and heard us guide her where to find us, and we decloaked for you to see us all. When we are in orbit, we are always cloaked, in fact any UFO rarely decloaks when near Earth. We know that many of you ask what are we doing in your skies all the time, and why are there so many UFOs decloaking. We wish to remind you that we are here to support, help and guide our starseeds, and star relatives, to bring assistance when needed, and to just make our presence known to humans. Many among the general public are still lead into fear when it comes to ETs and UFOs by misleading and misguiding TV programs, set to instill fear into your heart of the unknown. The truth is that many of the so called ‘Alien abductions” are led by Earth humans, and a special budget is allocated to these kind of fear mongering operations, so that the general public would be scared of their space brothers, and so that space will be weaponized seemingly to protect the human population from invaders from space, bent on experimentation with human gene pool and bodies. 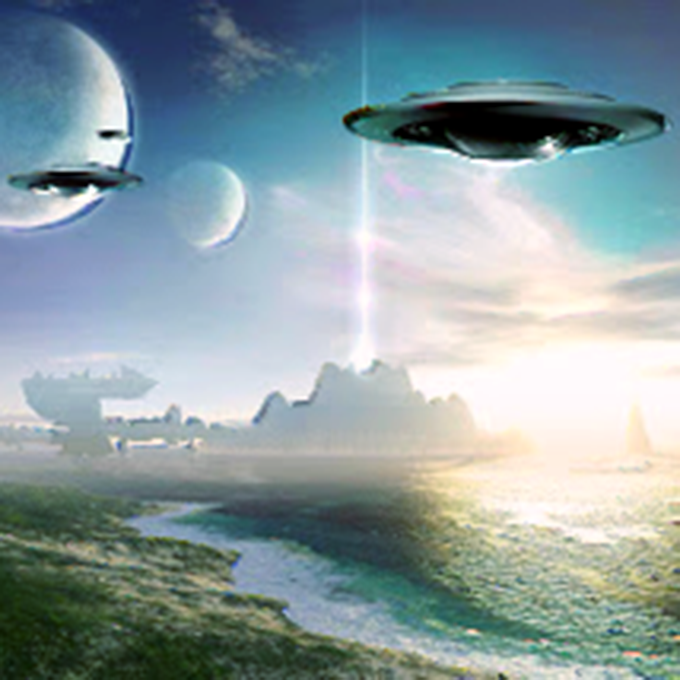 It is important to understand that while there are some negative ETs that take part in such “abductions”, these operations are led by humans on a large scale. The vast majority of Galactic beings are benevolent, and are only interested in being in contact with their Earth families and representatives. The truth is that we have no need to experiment with human gene pool, as it would not benefit us in any way. Some kind of grey beings did in the past benefit from such research, but they are not part of the Galactic Federation, and acted without our permission in order to try to save their species from the consequences of 100% cloning in their population. They abducted a few humans, and in most cases these were safely returned home. They are being watched and it is not likely that they will be able to operate again. We would like to have you come onboard during the dreamflights once again, if you wish to do so. There is never any obligation to do so, of course. Many of you come onboard and do not recall any part of it once they awaken. This is a normal process and should not be a cause for concern. When you Higher Self travel to our spaceship, she or he will reconnect with her or his space family, and debrief. Many among us are not human and your ordinary human subconscious blocks those meetings for many reasons. Try to catch your thoughts and day dreams at times, and you may find images of us in your subconscious mind, seemingly for no reason. Once you are onboard, many of you get to see events ahead, or to experience aspects of their life that they fear, or traumatizing events from the past that have scared them. We will work on healing those past traumatic experiences, which still protrude into your daily life on some level and this leads to blockages. So in the cases of some of you experiencing scary nightmares and dreams that seem odd to say the least, this is the explanation. Once again, we ask that if you decide to join us onboard, not to have any expectations regarding what you wish to remember and experience. This will be decided by your Higher Self and by the Aurora crew. A few of you may also like to do ocean surveys and water sampling. We are very much concerned with the state of your oceans, which regulates life on Earth on a much deeper level than human sciences would like to acknowledge. We can diagnose the health of a civilisation through the water quality of their oceans. Sentient beings live in the oceans, however, human civilisation choses to ignore them also, and to give way to profit and covering up the level of pollution in the ocean waters. Think of the oceans and rivers as Earth’s blood and you will understand the importance of water on Earth and our concern with what is happening to water. I am Aurora, Pleiadian starship, with a rainbow of beings as a crew. Our crew are multicolored and mulitidimensional beings, as many of you are on Earth. La Automaestría o la Maestría en uno mismo es el estado consciente que alcanza el ser humano, que una vez ha activado su canal de conexión energética con la Fuente Universal de toda Vida, Dios, comienza a establecer la divinidad del Espíritu en él mismo, consiguiendo su propia soberanía y poder, así como el entendimiento y adiestramiento que de ellos se derivan. Asimismo, la Automaestría es lo que se ha llamado también, desde hace siglos, Iluminación, habiendo estado asociado este término por la gran masa social, desde tiempos pasados, a personas excluidas, aisladas y abandonadas del conjunto de la sociedad, como ermitaños, ascetas, marginados y solitarios, pero que, tal vez, en la actualidad, más que nunca y debido a la nueva energía ya muy activa en esta dimensión, viene a resaltar específicamente un estado, capacidad y cualidad en personas que ostentan la sabiduría necesaria que les permite mantener dicho nivel de conciencia y energía compatibilizándolo con los requisitos necesarios que establecen las pautas y el ritmo de vida que imperan hoy en día en el conjunto de la población mundial. Más allá de rasgos que puedan obtenerse por comparación con otros grados o niveles de evolución y considerando que la Automaestría en cada caso individual puede presentar características diferentes, sí podrían ser acentuados avances y aspectos comunes en cualquier proceso de maestría personal, sin obviar que el tiempo que se invierta en la consecución de los mismos puede depender, a su vez, de varios factores, así como del desarrollo natural que estos puedan alcanzar, entre los cuales cabe citar la evolución espiritual álmica, la dedicación, la voluntad, la convicción, los recursos y medios empleados, los potenciales y posibilidades disponibles con mayor probabilidad, etc. Estos avances podrían, incluso, presentarse como etapas si es más del agrado del lector, por verse así más favorecida su comprensión, las cuales no tienen porque obedecer tampoco a una sucesión correlativa y cronológica en el tiempo, apreciación que puede corresponder más a una visión lineal como condición característica del mental de la 3D, sino que, es más, pueden llegar a solaparse y simultanearse en su desarrollo, puesto que no habría que olvidar en ningún caso la unidad que rige y cohesiona todos los procesos en la nueva energía, la cual no hace salvedades, y este campo no iba a suponer ninguna excepción en este sentido, subrayándose, de igual modo, la conexión que existe en la activación de estos rasgos y caracteres, y la influencia que pueden ejercer unos con respecto a los otros. Así pues, resulta entendible que el ser humano que ha tomado conciencia del cambio en él, en el entorno que lo rodea y en el global de esta dimensión, y que se abre a la nueva energía y a la acción de esta en su cuerpo y en su vida, va a comenzar a experimentar un claro proceso ascendente de transmutación, purificación y transformación de sus aspectos no alineados, menos equilibrados, no armonizados o, en cierto modo, desajustados. Estos aspectos internos y energéticos, emociones y pensamientos, en el contacto con esta energía van a salir a relucir a la palestra del consciente humano para ser sentidos, percibidos, identificados y, por la propia necesidad que ellos mismos sostienen, amados y aceptados, alcanzándose el refinamiento y elevación que estas energías reclaman y, como consecuencia, la purificación e iluminación de los cuerpos emocional y mental, produciéndose en esta coyuntura un salto evolutivo cuántico del ser de magnitud incalculable. De esta forma, se abordarán no solo los ajustes relativos al estado interno, sino todas las realidades y situaciones externas que estos mismos atraigan por el mismo desequilibrio de su vibración y que requerirán, sin duda, de la misma actitud de percepción y atención para su alineamiento, sin fijación en el enfoque mental que haga recaer en el drama o en la ilusión sobre estos escenarios que pueda agravar aún más los bloqueos y conflictos en ellos existentes, sino más bien con asentamiento en la mera acción de sentir, atender, reconocer, soltar, dejar ser, liberar, aceptar y permitir lo que se da y lo que se siente, sin hacer, enfocar o involucrar nada más, para, así, implantar, sencillamente, un estado de aceptación e incondicionalidad que conduzca a estos aspectos y realidades al equilibrio y a la sanación. Este proceso de transmutación que se acaba dirigiendo siempre al hecho de encarar emociones y realidades, y que, en cualquier caso, media y procura la liberación de los bloqueos, está llevando a efecto lo que, como otro apunte, podría denominarse la liberación del Karma, el cual, como ya es sabido, podría decirse que está constituido por todas las energías que quedaron sin resolver o sin concluir por descompensación o falta de armonía a causa de estados, actitudes o conductas de distorsión, alteración o desequilibrio que fueron creados en el plano personal o colectivo, o por energías de estas características que, en definitiva, han permanecido alojadas y computadas en el astral tras el tránsito del ser por las distintas existencias o encarnaciones. Está limpieza o liberación del Karma, obviamente, está vinculada con el tratamiento de emociones y estados internos, ávidos de ser trascendidos, y, a la vez, con el transcurso por ciertas experiencias en la realidad externa de este mundo, llegando a coincidir, con gran probabilidad en algunas de ellas, con ciertas personas con cuyas almas quedaron aspectos pendientes en otras vidas que requieren todavía equilibrio, resolución y, al fin y al cabo, finalización y compleción, así como por situaciones que en otras existencias no obtuvieron un trato o manejo óptimo o adecuado y que precisan, pues, de revisión para ser realineadas. En esta actualización de los campos energéticos que envuelven y acompañan al cuerpo físico, debida, por otra parte, a la entrada en el nuevo tiempo, en el nuevo ciclo terrestre y en la nueva energía, es en donde se comienza a forjar un nuevo ser humano acrisolado y depurado que sostiene e irradia energías mucho más sutiles y lumínicas de las hasta ahora disponibles para la mayoría de la Humanidad y que, desde esta recalibración y resplandor de los cuerpos, comienzan a tener cabida en él, merced a la transmutación a que se han sometido las geometrías y códigos energéticos de baja y densa frecuencia vibratoria que hasta esos instantes aún aguardaban amparados sin gran variación en los cuerpos mental y emocional, y que hacían del todo incompatible un mayor flujo de caudal energético a través de estos mismos campos, como del resto de cuerpos en general. Esta purificación de los aspectos energéticos internos, activada conscientemente a voluntad y por elección del mismo individuo en un proceso personal que va a tender a acelerarse por el incremento progresivo de la intensidad de la llamada energía del Amor o energía crística en este planeta, resulta ser, así mismo, la propiciadora de la limpieza y del aligeramiento de la condición energética de los cuerpos, del aumento del caudal energético y del cociente de luz en ellos, del anclaje de esta nueva energía en la Tierra a través de los cuerpos activos de los seres humanos despiertos y evolucionados en este tiempo del cambio dimensional, de la transformación más sutil de estos cuerpos por exposición a la acción de la energía, y también de la emanación de luz y energía que desde ellos se revierte a todos los lugares del mundo en los que, por un motivo u otro, dichas emanaciones vienen a ser requeridas y precisadas para el desarrollo de toda función vital en estos emplazamientos. En este nuevo orden vibratorio de la Luz en esta dimensión, el maestro encarnado vive todas estas señales y síntomas en un estado de alerta permanente de consciencia y sensibilidad que, igualmente, le permite canalizar y dirigir la energía y la luz conscientemente hacia cualquier lugar, cualquier persona o ser vivo en este mundo, empleando para ello los medios disponibles y compatibles para él, para sus propias posibilidades, para sus potenciales disponibles, para su nivel evolutivo y, evidentemente, acordes con las experiencias con las que ha convenido a tratar principalmente en la 3D, bastando, en realidad, para ello manifestar expresamente a qué lugar, a qué persona o a qué ser vivo se desea que dicho flujo de energía sea destinado o dirigido. Se abre, por tanto, en este nuevo marco de ascensión dimensional que se está planteando, una nueva gama de los así llamados potenciales que comienzan, pues, a estar accesibles para el ser humano en proceso de regeneración energética continua. Habilidades, dones y capacidades, difíciles de alcanzar hace pocos años en otra condiciones vibratorias del pasado, pueden comenzar a surgir con relativa facilidad en el nuevo paradigma humano de una manera sencilla, simple, en su justo momento y en muchos casos sin ningún tipo de estruendo, como por ejemplo las mismas flores en los campos en primavera, es decir, con toda la naturalidad que aporta la sabiduría de que ha podido llegar el tiempo de cada manifestación, realización o evento en el curso normal que puede regir toda evolución, crecimiento y expansión. * Su responsabilidad total y completa a la hora de conformar su propia realidad a cada instante y de atraer, por tanto, hacia sí mismo todas las situaciones y circunstancias que determinan y aparecen a su alrededor, así como de los estados internos emocionales que en cada momento vayan surgiendo o se vayan generando. * Todo lo que entra y sale de su realidad, al mismo tiempo que a las causas y a los efectos inmersos en estos procesos, reconociendo que cuando algo aparece en su vida es porque él mismo lo ha atraído, consciente o inconscientemente, habiendo algún aspecto interno en él que vibraba con dicha experiencia, efectuándose la manifestación de la misma sin más, dándose la misma dinámica cuando ocurre justamente lo contrario, es decir, cuando algo se retira o desaparece debido a la disolución de ciertos aspectos o emociones vibracionales, con lo que, en estos casos, se vendría a deducir a grandes rasgos que un proceso ha podido tomar compleción, o sea, que se ha completado y finalizado definitivamente, empezando a dejar de tener sentido ya su presencia en escena y en el entorno personal. * A la sincronicidad universal que produce o ejecuta la manifestación, o la no manifestación, de todo cuanto se solicita o se demanda, reiterando de nuevo que pueda ser de forma consciente o inconsciente, o, simplemente, de aquello con lo que se vibra o, incluso, se desea, aun sin petición expresa, solo con la señal o irradiación que se desprende de la misma frecuencia vibratoria del sujeto que la emite. La Maestría despierta, pues, al reconocimiento de todo aquello que favorece e impulsa siempre la sincronicidad, permitiendo la consecución y materialización de potenciales esperados con la mayor inmediatez posible, cuestión que puede llegar a plasmarse instantáneamente en los casos en los que esto sea factible por distintos factores que así lo hagan compatible, siendo esta, precisamente, una de las características principales que siempre han acompañado a los fenómenos que han sido catalogados a lo largo del tiempo como milagros, aunque, dicho sea de paso, el requisito indispensable de que se manifiesten al instante o mostrar alguna actitud de urgencia o ansiedad en este sentido pueden resultar atenuantes que obren en contra del beneficio de los propósitos deseados que precisan irrefutablemente de amor incondicional para acelerar su aparición. Lo que sí surge como una gran verdad en toda esta cuestión es que en la actualidad estos eventos y realizaciones comienzan a ser más viables como prácticas diarias en todos los campos y facetas de la vida, sin excepción, como obsequio de la energía entrante del Amor en esta dimensión, en particular para aquellos que adquieren y poseen este entendimiento y lo ejecutan con conocimiento de casusa e intencionadamente, existiendo con gran probabilidad el potencial de que algún día lleguen a convertirse en hechos y sucesos que se prodiguen con total normalidad de forma cotidiana. Por el contrario, en este aprendizaje resulta vital identificar también cuáles son los modos que dificultan y obstaculizan la fluidez que agiliza el mecanismo cósmico de la sincronicidad universal que se procesa a través de las llamadas líneas interdimensionales para, así, adecuarlos y perfeccionarlos a un nuevo plano de conciencia y frecuencia vibratoria en el que se puedan optimizar estos recursos en favor de la abundancia en el planeta y en la población. Basta con precisar y detallar con exactitud muy precisa y concisa lo que se pretende manifestar, solicitándolo, mejor con el pensamiento, en silencio, aunque también se podría plasmar de alguna otra forma a modo de diseño de la demanda (visualizando, escribiendo, dibujando, etc. ), tanto mejor cuanto más detallado y matizado, y después solo habría que dejarlo ir, sin necesidad de volver a reclamarlo. En todo caso, se puede expresar, cuando así se considere, el agradecimiento por la certeza de que el potencial definido ya está llegando, de que está en vías de manifestación y de que este hará su aparición en el momento justo, sin guardar iniciativa alguna de cuestionar una posible demora por un mayor retraso de lo esperado. La ansiedad o el agobio son bloqueos emocionales que claramente ralentizan la velocidad del proceso ya que obstaculizan del mismo modo la fluencia del caudal de energía a través del cuerpo. Lo que es dentro es fuera. Si dentro no fluye la energía, la vida, por bloqueos emocionales, fuera tampoco por bloqueos varios. En cambio, el agradecimiento se convierte en un agente que acelera con gran potencia las manifestaciones físicas ya que, de esta forma, se están reafirmando con una convicción fuerte las solicitudes planteadas, sin necesidad de estar reclamando y reiterando constantemente las mismas peticiones, lo cual podría denotar, por otra parte, una actitud que pueda indicar cierta falta de confianza en la culminación de las mismas, o sea, dudas, con motivo de tanta reiteración, que, a su vez, también puede provocar la dilatación en el tiempo de los plazos de manifestación. Evitar conversaciones al respecto de procesos que ya estén en curso, en las que puedan surgir dudas, contradicciones o se ponga en entredicho la resolución de los potenciales especificados y detallados para ser atraídos, aunque sea de manera implícita en comentarios, gestos o actitudes empleados, puede paralizar por completo el mecanismo de atracción del potencial. Por esto es por lo que se hace prácticamente imprescindible evitar hablar o plantear debates sobre estas cuestiones y exponerlas a comentarios y juicios de otras personas que no tengan entendimiento y práctica en cuanto al dominio de lo que se dice se refiere, y de su alcance y trascendencia. Si, por otra parte, aparecen estas dudas, bloqueos o resistencias emocionales con relación a la manifestación de los potenciales requeridos, ya, llegados a este punto en el que ha sido tratada la Maestría de manera extensa, deben ser de sobra conocidas las vías de transmutación para tratar estos aspectos, y, por supuesto, huelga añadir que en ningún caso dichos aspectos emocionales deben ser rechazados para intentar evitar obstáculos que pudieran retrasar el objetivo final, ya que, de este modo, se estaría propiciando el efecto justamente contrario de lo que se pretende, es decir, se emitirían vibraciones contradictorias, no emitidas en las frecuencias del Amor, que demorarían el propósito sobre estos temas y diligencias. Porque la aparición de estas emociones y pensamientos, como partes energéticas vivas del propio ser humano, también representa una fase que se viene a sumar al proceso más global y general de Maestría de transmutación, equilibrio y sanación que siempre va a tomar una dirección encaminada a la depuración, unificación, purificación, alineamiento y resolución de todo aspecto vital y no debe ser, de ningún modo, motivo de rechazo o censura, sino que, por el contrario, ha de recibir las pautas adecuadas de tratamiento. Pag. Anterior: Varios/Otros – ¿Qué es la multidimensionalidad? * La autosanación, como certeza de que el maestro puede encontrar o disponer de los medios que le ayuden a sanarse a sí mismo o, en su defecto, atraer las soluciones y potenciales que le hagan encontrar sanación. Para ello, los recursos, siempre adecuados y viables que posibiliten la sanación, llegarán como todo llega y surge, por pura sincronicidad, por atracción de la propia frecuencia vibratoria personal. Así, la sanación en uno mismo, por ejemplo, puede alcanzarse por una aplicación determinada o específica de la oración o de la meditación, y, tal vez, simultáneamente, con alguna visión o visualización en la que se concrete y especifique aún más el resultado final que se desee alcanzar. También puede llegar espontáneamente por el propio incremento energético en la persona, por el cual ciertos estados de existencia o de experiencia de vida que presenten cierto desequilibrio tiendan simplemente a desaparecer por la imposibilidad de seguir existiendo o mantenerse en las nuevas condiciones de frecuencia vibratoria. Es reseñable el inmenso poder sanador que encierra el hecho de comunicarse con las células del cuerpo y, sobre todo, con aquellas que presenten desajustes o dolencias. Ellas están siempre receptivas a todo lo que el ser humano asume, acepta y toma para sí. Así ocurre con todas las palabras que les son dirigidas, con todos los pensamientos en los que se enfoca la mente y con todas las disposiciones que son aceptadas como verdaderas y válidas, muchas de ellas amparadas en el velo del funcionamiento mental inconsciente, en la inercia y en la rutina de este, y, por tanto, pasando inadvertidas, sin tan siquiera llegarse a imaginar cómo están repercutiendo de forma activa y directa en la realidad presente. Por ello, cualquier atisbo de limitación de planteamiento, de base, de visión o de proceder acaba siendo plasmado y establecido en el mundo físico, bien a nivel celular y orgánico, bien en lo que se refiere a cualquier otro tipo de situaciones y realidades externas: en la economía, en las propiedades, en las relaciones familiares, en el ambiente de trabajo, en las amistades, etc. El hecho que se describe, en sí mismo, radica en que todo cuanto sea admitido por un ser humano será asumido directamente por sus células, como partes vivas e integrantes que constituyen en conjunto a la persona. Por ello, adquiere gran importancia, ahora más que nunca por la aceleración que están tomando todos los procesos en esta dimensión, la detección de creencias y patrones limitantes, y de las inercias mentales que los prodigan para prevenir, de esta forma, posibles estados y escenarios de carencia. Asimismo, todos los pensamientos, palabras y decretos que se les confiera con amor van a ser integrados y digeridos por estas células y, a la vez, adheridos a sus respectivos funcionamientos y aplicaciones, activando y aumentando sus correspondientes vibraciones energéticas. Digno es de mención la relevancia que toman las comunicaciones e informaciones que se les confiera a las células madres de cada órgano en el cuerpo, como células representativas y gestoras en los mismos. La Maestría, pues, acaba instaurando un estado de conciencia que percibe y reconoce al Amor a través de palabras, pensamientos, actitudes, etc., como esencia fundamental y básica por medio de la cual la sanación se convierte en un proceso que se puede atraer conscientemente y de un modo factible y accesible. Lo que sí debe ser resaltado y advertido es que el potencial de la sanación en uno mismo, por la propia naturaleza universal de la sincronicidad, llegará de la manera más rápida, óptima, fácil y directa para el demandante. Esto querrá decir que si la obtención y manifestación de un potencial de curación generado directamente en primera persona por el mismo sujeto en su propio cuerpo o en su realidad no viene a presentarse como lo más probable, se podrían presentar en primera instancia otras vías de solución desde el exterior procedentes desde otras direcciones o portales de entrada que puedan conducir a la consecución del potencial más óptimo y de la forma más rápida, y que, en principio, puede ser que no se hayan tenido en consideración, pero que de igual modo el propio solicitante ha sido el que, a través de su intención, actitud y acción, ha abierto el cauce para que el potencial de la sanación para él mismo se haya podido dar y completar finalmente, siendo él, por tanto, de nuevo, el único responsable de todo aquello cuanto irrumpe en su vida y en su realidad. Por todo ello, cobra una importancia crucial la identificación y depuración de todo prejuicio en los canales de entendimiento y de discernimiento para no rechazar y pasar por alto las opciones que tengan a bien presentarse, porque pudiera resultar que estas mismas que pueden aparecer en primer lugar sean las mejores posibilidades para los mejores resultados que estén accesibles para alcanzar los fines deseados en un preciso momento, y que por el simple hecho de no ser aceptadas advocan el proceso a otras alternativas que, de entrada, pueden necesitar de, al menos, algo de más de tiempo para su manifestación, como segundas opciones que son. Por tanto, el maestro, en función de su grado de expansión de consciencia, va a adoptar todos los medios a su alcance que le permita estar abierto y receptivo a la mayor entrada posible de energía en sus cuerpos, físico y energéticos, así como a incrementar la frecuencia vibratoria en los mismos conforme la nueva energía aumenta, al mismo tiempo, su intensidad y presencia en esta dimensión. – Oración y meditación diarias. – Hablar, leer, escribir, ver y escuchar cosas sobre el Espíritu, sobre Dios, sobre la divinidad en todo lo que es. – Estar al servicio del prójimo, empezando por el entorno más cercano. – Una alimentación, sobre todo, basada en vegetales, pues la comida de origen animal, en concreto carne y pescado, reduce el nivel de vibración energética, como ha sido ya explicado y argumentado en otras disertaciones. – No ver mucha televisión que pueda absorber y disminuir el cociente de luz y energía, y seleccionar bien, al mismo tiempo, los programas que sean vistos, evitando aquellos que divulguen violencia, pornografía, terror, desarmonía y, primordial y muy importante, juegos espirituales (ouija, psicofonías, invocaciones, etc.). – Escuchar cada vez que sea posible música (clásica, instrumental, relajación chillout, etc.) que aporte paz y eleve el espíritu. – Frecuentar zonas de naturaleza (parques, bosques, lagos, parajes naturales, etc.). – Realizar ejercicio físico no muy forzado que active y haga circular las energías del cuerpo para que estas no se estanquen, se paren y puedan provocar dolencias físicas. – Tomar unos minutos el sol cada día para recibir e incorporar las energías que este irradia, que son a su vez necesarias para el cuerpo humano. Y, por último, remarcar como algo fundamental que todo maestro consciente de su grado de Maestría, en algún momento en su encarnación, solicitó de forma expresa adquirir, precisamente, su propia Automaestría, o, lo que es lo mismo, abrirse y recibir la Voluntad y la Divinidad del Espíritu, asumiendo con todo amor, humildad, honestidad y responsabilidad lo que esta decisión representa y conlleva. Será así como el ser humano soberano y empoderado tomará conciencia de este nivel evolutivo que hemos llamado Automaestría en alguna de las etapas de su proceso personal, habiendo transitado por las fases previas de tratamiento y conexión de las partes de su ser, que ya han sido descritas con anterioridad en este capítulo y en otras explicaciones, por medio del entendimiento que vaya adquiriendo a través del contraste, los efectos y los resultados que se deriven de la puesta en práctica en sus propias experiencias de vida de los nuevos conocimientos e informaciones a los que, de forma continuada, vaya pudiendo tener acceso. Pag. Siguiente: Varios/Otros – ¿Por qué la física cuántica ha descubierto…? Tera planet – or rather, the Tera cell – is in a very unstable dimension within the universal parameters. There are cosmic and planetary influences that can be defined as natural phenomena, where the living conditions are so strange that you consider the 34 unexplained mysteries indecipherable. But as the science progresses you will understand. will disappear to make way for science. In this way you will continue learning that the amazing always has an explanation based on knowledge, faculty and experience of knowledge. Inside planet Tera there are still large volcanoes whose lava exudes exorbitant amounts of methane gas. This gas often comes to the surface, mixed with sea water and dissipates without causing havoc, because sea water is responsible for absorbing and distributing it. magnetism of the planet tends to agglomerate large amounts of gas. When mixed with the ionization of the planet appear enormous gaseous masses and in the form of electrical ion charged clouds. The clouds charge up of negative electricity and become ionized gases. The Bermuda Triangle has no mystery. Boats and planes that have disappeared are sunk at sea. If we look carefully, you will find them. warm lends itself to this type of phenomena. It is very dangerous, ionised and electrified, and if we add the magnetism of the planet, which is not stable and uniform, the result is that these strange and unusual phenomena occur. In the near future, and through deep studies in science of the planet, it will be prohibited the navigation by air and sea in this area. You also need to have in this explanation the knowledge and the truth. The Bermuda Triangle keeps a stealthy secret: in the depths of the sea lies one of the best preserved pyramids in the time of Atlantis. 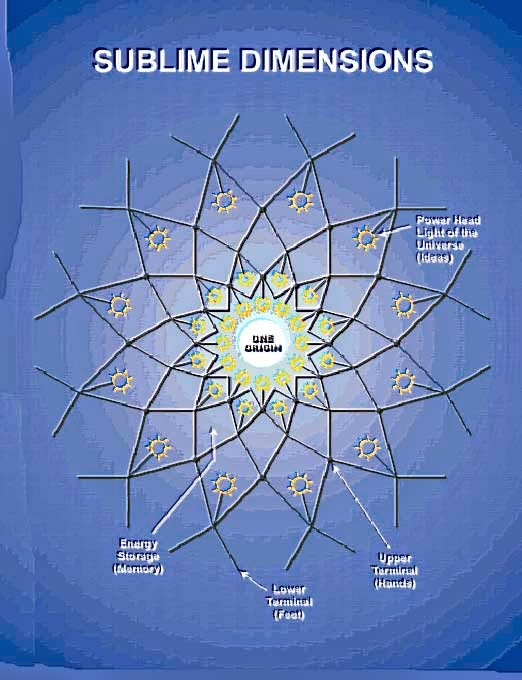 When this pyramid be discovered, you will unveil the universal knowledge, because are therein cosmic revelations that your ancestors left for the future of Tera. These will be discovered when the human be spiritually elevated. It could not be before, because the modern man would use that knowledge for ambition and power. 35 return to their home planets.